Potter USA - Fine Tools. 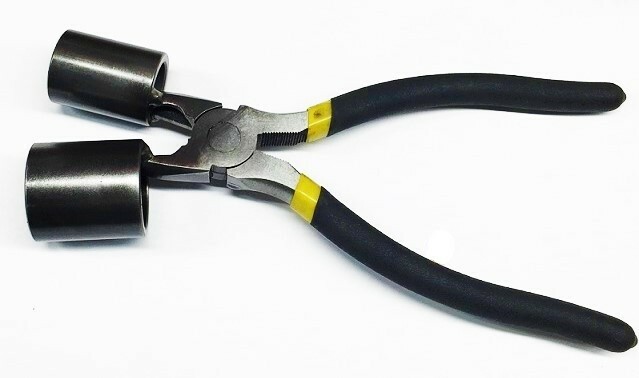 Double Cylinder Bracelet Bending Pliers 1 1/8" 1 3/8"
Double Cylinder Bracelet Making Pliers 1 1/8" and 1 3/8" cylinders. Two different sized cylinders are used to quickly put large radius curves into flat metal. Perfect for making men's or women's bangle or cuff bracelets.